Expertise: Strategy design, air security. Stefan is an expert in air security, with a PhD in ‘Air security in the time of globalization’ and extensive knowledge and experience in risk assessment and risk management. Stefan was the first airman to have been appointed Chief of Romanian General Staff (Chief of Defence), between 2011-2015. During his military career he commanded two Romanian Air Bases and as a pilot he flew MiG-21, MiG-21 LanceR and C-130. He left the Romanian Armed Forces in 2017 as a general and has since acted in an advisory role to the minister of defense and to the Prime minister. 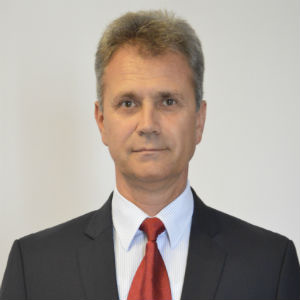 In addition to his military background Stefan has experience of organization management at both tactical and strategical level and is also involved in a series of projects in Romania to supporting education, media and business development.